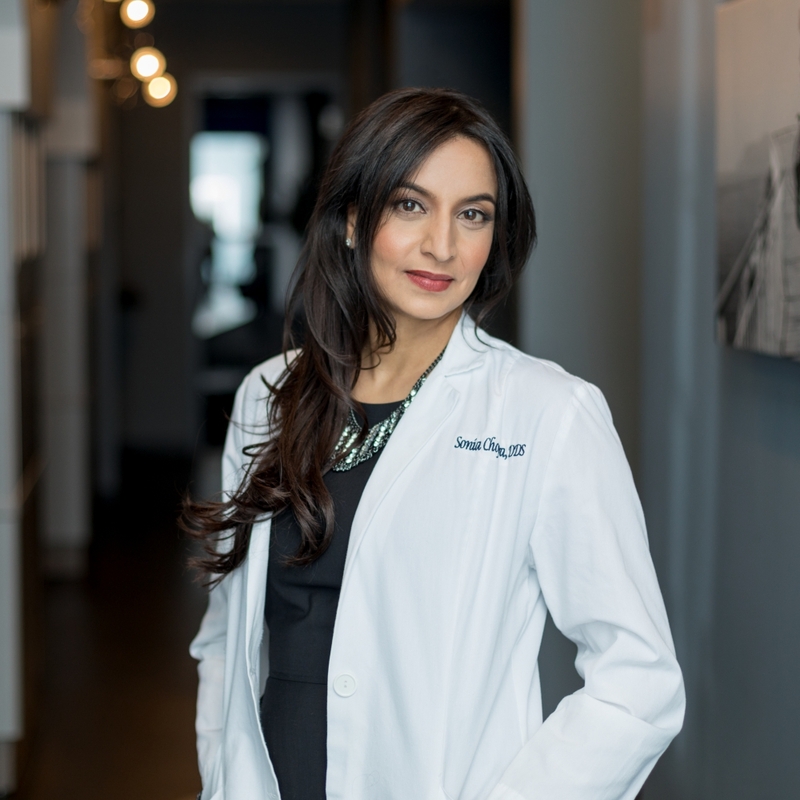 Tooth Story #16: The Root of Diagnosis – Which Tooth Is It? Anyone who knows me knows that diagnosis is my “thing”. Saving teeth is SO important to me. Why? Because of my own personal tooth story (to read more about it, click here). I was born without eight teeth, and after a young life filled with dental appointments, I had a dentist who extracted the wrong tooth. So, based on my own tooth stories, when I see a misdiagnosis it really hits me in the heart. I view other people’s teeth, and their dental experiences, as if they were my own. This case I’ll discuss here truly broke my heart when it came into my office. This was a repeat patient of mine. He had seen me before for a retreat, we had success in the past, so he was back for treatment on another tooth. I can see that there is a periapical radiolucency around teeth #30 and 31. 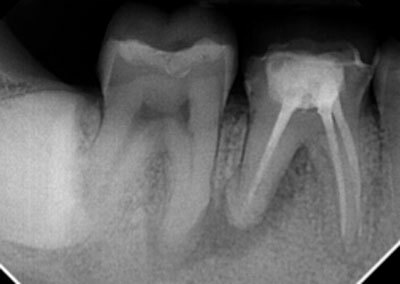 Tooth #30 had a previous root canal and had been restored with a crown. Teeth #3, 5 and 31 had been restored with composite restorations and tooth #4 also had a previous root canal and restored with a crown. 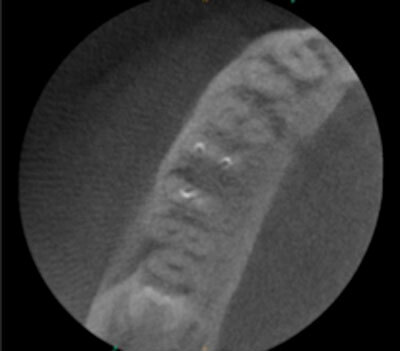 The patient currently had no pain — this was an incidental finding at his last cleaning. The patient actually referred himself! The treatment plan that was suggested to him by his general dentist didn’t sit well with him, and he wanted to get my opinion before he took any action. Before I tell you what that treatment plan is, let me walk you through the rest of my findings. The axial shot shows that the disto-lingual canal has been “missed” since it doesn’t appear to be as radiodense as the other canals. At least this canal wasn’t cleaned all the way to working length. 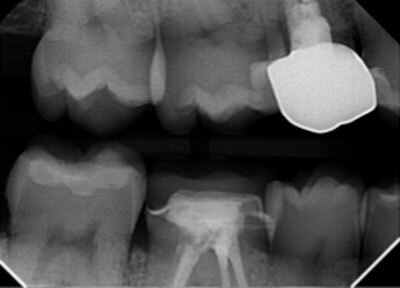 The sagittal view shows a BIG periapical radiolucency around teeth #30 and 31. Ok, now based on these findings alone what would your diagnosis be? That was a trick question. Don’t you dare make a diagnosis based on the radiograph alone. So, if you are doing that now, I need you to stop ASAP!!! There is more to a diagnosis than just the x-ray. This is what I preach, folks, and that is why I can’t tell another clinician what to do without seeing the patient as well. I want to teach YOU how you can make this diagnosis definitive, and I want to make you confident that you can do it YOURSELF. Since the patient had a retreatment from me in the past, he knows that this is a thing. He knows that retreatment is an option. So, he questioned his dentist and wondered why a retreatment of #30 was not a part of his treatment plan. Well, my friends, this is the real kicker. According to my patient, his dentist said, “Well, that’s not something that I offer here.” When my patient heard that, he knew he had to RUN. He knew he was sitting in the wrong chair. So, he kindly finished his appointment and left, and then immediately called my office for an appointment. He didn’t want to get a treatment plan based on a practice’s limitations, especially when he knows that other people know how to handle this type of treatment. You know what’s funny is that he didn’t tell me this until I had completed my diagnosis and gave him my treatment plan. I’m glad I passed the test! Tooth #30 had no response to cold and teeth #28, 29 and 31 all responded normal to cold. And percussion was normal on all the teeth. So based on this, what would be your diagnosis now? When I told my patient this, I couldn’t get over the look on his face. He was totally confused. He couldn’t understand why my treatment plan was so different than his dentist’s. So I took a minute to explain to him my reasoning (that I just stated) and logic based on my findings. He totally understood and thanked me for wanting to save his tooth. Treatment plan based on what you would do as if it was YOUR tooth!! be sure to follow me on Instagram and Facebook! Great case, Sonia! I would love to see the post re-treat image, after the lesion heals. Thank you! Thank you!! I will make sure to post the recall when I get it. I start this case next week, so we will have to wait 6-12 months to see any changes on the radiograph. Stay tuned! I always teach that your cold test MUST be obvious. And sometimes I repeat it just to make sure and I am always comparing it to the contralateral tooth against a known normal. If I see the patient levitate in the chair, I can be confident that they are feeling it. So, make sure you are not shy with your cold test and don’t be afraid of “hurting” your patient to get your diagnosis. I don’t believe that the infection in #30 can spread into #31, the periodontal ligament is a great barrier. Hope this helps! Thank you for your comment. The prognosis for #31 is excellent since there is no bacterial etiology associated with the tooth. This is all contained within #30. I would not expect a pulpitis to occur in #31 due to this infection on #30. Once #30 is treated, the bone will regenerate and that root will be covered again. Don’t let the pattern of bone loss confuse you :). I promise to track this case in order to repost the recall in the future. That was a great story and educational. You are exactly right!! I will add this to my list of topics to discuss on the blog. Thank you for the recommendation. Talk soon. I use a cotton pellet with endo ice. Make sure that you are not using a cotton tip applicator. And make sure you are testing a normal tooth on the other side to assess THAT patient’s normal. Then it is all in how you interpret the cold test. Don’t be timid with it because you don’t want to make them uncomfortable. You need to get your diagnosis, so make sure you have a really cold cotton pellet to get your definitive diagnosis. Hope this helps. Dr. Chopra, excellent material. Regards the cold test, do you recommend to use the cotton pellet on a specific surface of a tooth? I usually go on the direct buccal, but sometimes I do switch it up and use the lingual surface. If there is a crown in place, I try to get as close to the margin as possible. Thank you Jaon, more to come! 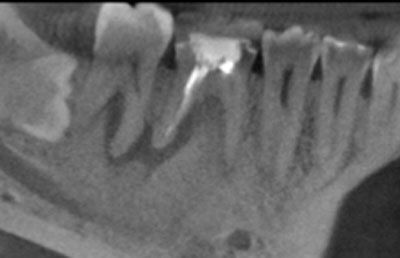 Thanks for the information this endo case study and tips really helpful. Thanks Jaon – this is such a common issue we have, and I’m happy to help bring clarity!